JI Bases does not supply floor attaching hardware, nor give recommendations for hardware. These decisions need to be made by the installer based on the type and condition of the floor. The recommended 36″ x 42″ maximum size restriction is based on the premise that one person will sit at the end of the 42″ length. 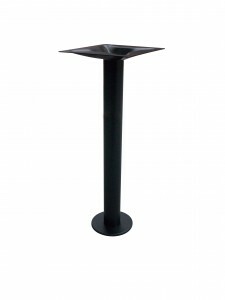 Therefore, when using the top for support in rising from the table, the torque on the floor bolts is limited. And, with a 36″ width top, two people sitting along one side of the table also limits the torque on the floor bolts should they need support in rising from the table. Increasing the width or length beyond the recommended one fixed base per 36″ x 42″ top may cause too much torque on the floor bolts. 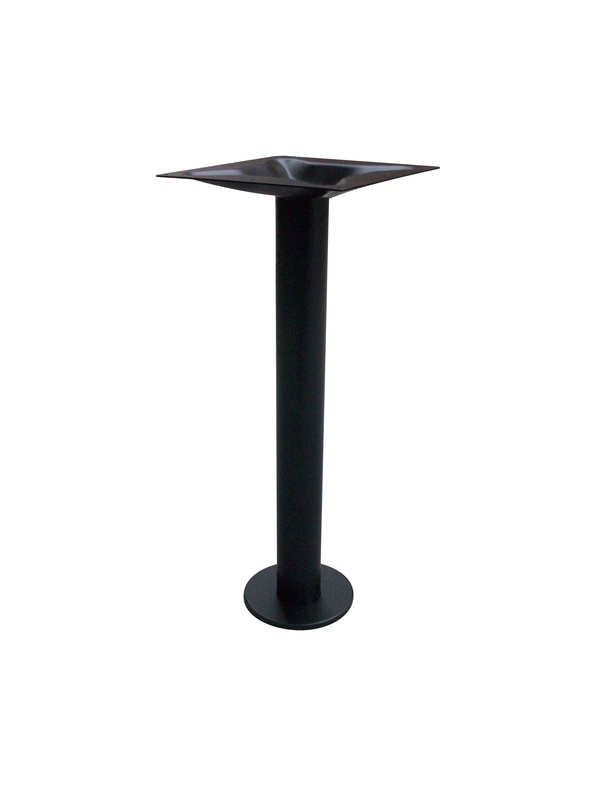 Additional bases can be added to support longer tops based on one base per 42″ in length. Note: The top plate, column & base plate are welded as one piece. Floor anchors not included.